A true love of nursing and caring for others, her legacy lives on. Karen was born August 19, 1952 in Portland Oregon. As a toddler, her family moved to a berry and cattle farm in Woodburn, Oregon. There she spent her childhood along with six other siblings. After graduating high school, she planned to attend Chemeketa Community College. Those plans changed however, when her application was not submitted due to a clerical error. With encouragement and support from her grandfather, “Papa”, she applied to Portland Adventist Hospital School of Practical Nursing. She was accepted into the program. In addition to her full-time studies, she worked at the hospital to pay for her education. Following graduation in 1971, she was immediately hired by Salem Memorial Hospital where she worked in the orthopedic department. As nursing was her true calling, so was her love for children. When a position in the pediatric department came open, she jumped at the opportunity. She felt very blessed to work there for the next 25 years. Over the course of her career and into retirement, Karen frequently encountered former patients and their families outside of the hospital. She was always greeted warmly and thanked for the wonderful, compassionate care she had given them. She enjoyed these moments and reflected fondly on them. In addition to nursing, Karen was also very gifted in other areas. 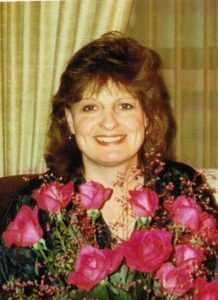 She was an avid gardener and was passionate about her roses. She created beautiful bouquets for her home and also shared them with others to brighten their day. Her sewing abilities were like none other. She made wedding dresses, bridesmaid dress and clothing for her grandchildren. She enjoyed counted cross stitch. While she was very dedicated to her profession, Karen’s greatest joy in her life was her family. She and her husband John raised three children in Dallas and was blessed with seven grandchildren and three great grandchildren. She found great happiness in watching them grow and being a part of their lives. She was always their #1 cheerleader. Even into her retirement she was actively involved in raising her grandchildren and mentoring many young families caring for their babies. She was always just a phone call away if they had questions or needed her to look at an ailment. Later in life she was able to assist with the nursing care of her beloved grandfather “Papa” until his passing. This was a comfort to her, as he had supported her entrance into the nursing profession. Karen passed away in 2016. Her family believes that she would want to financially assist other students to support their desire to become nurses and help others as she had. If you would like to contribute to the Karen Barnard Memorial Scholarship fund, please reference the fund name with your gift. He leaves a legacy of a big heart, an easy smile and friends beyond measure. 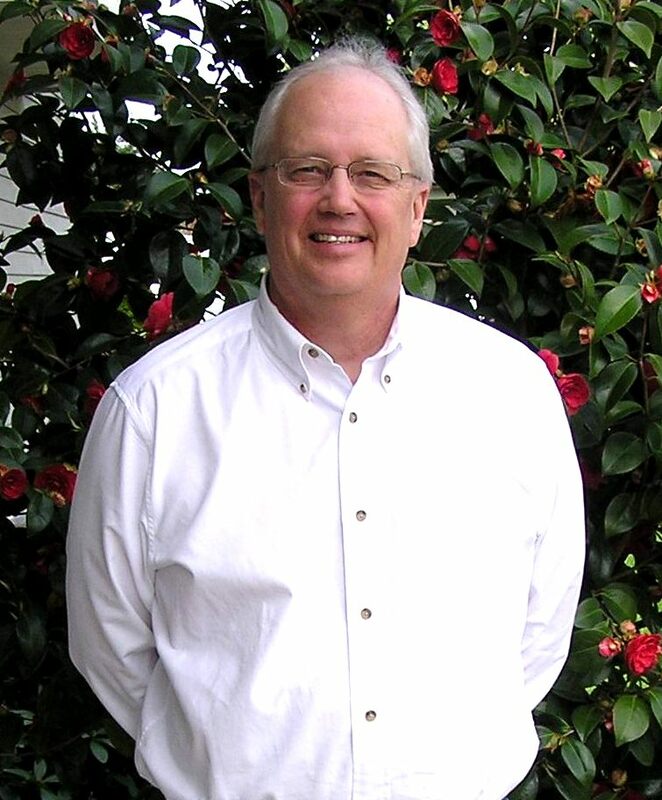 Ray and Bonnie recently established a scholarship in memory of their son, Stuart Olson. Stuart was born in Dallas and spent his early years here before the family moved out of the area. After high school, his interest in gardening and cooking eventually led to culinary school. At graduation from the California Culinary Academy in San Francisco, he was honored with the prestigious “Graduate Most Likely to Succeed” award. 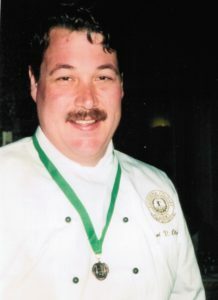 Stuart rose quickly through the ranks and served as Executive Chef at the Molly Pitcher Inn in Red Bank, New Jersey for over a decade. During that time, both he and his restaurant won many awards, and the establishment was popular among celebrities. The restaurant became renown for its famous Sunday brunch. Unfortunately, health problems prevented Stuart from continuing the profession he loved. Throughout his life, Stuart loved sports, fishing, golf, photography, time spent with friends and family, and of course, all things food. He was an avid fan of the Chicago Bears and Cubs. His career led him to many places, from Alaska to California to New Jersey, and he made many friends along the way. Stuart died in 2015 at age 55. Ray and Bonnie decided to establish the scholarship with the Dallas Community Foundation to give back to the community and to memorialize Stuart by helping those who want to pursue a career in culinary arts. Thanks to the generous contributions of family and friends from across the country, his legacy will live on. The scholarship will be available beginning in the spring of 2018. Eligible recipients include graduating high school seniors, past graduates of Dallas High School and current Dallas residents committed to enroll in a post-secondary degree program in culinary arts. Because Stuart did not follow his love for cooking as a career until later in life, the Olson’s wanted to also make the scholarship available to post-high school graduates. If you would like to contribute to the Stuart Olson Memorial Culinary Scholarship fund, please reference the fund name with your gift. Anyone can make a lasting difference. Tony and Pearl Proal came to Dallas in 1934. For many years they operated a bicycle shop and worked together cleaning office buildings in town. Pearl was a mail carrier for a time. 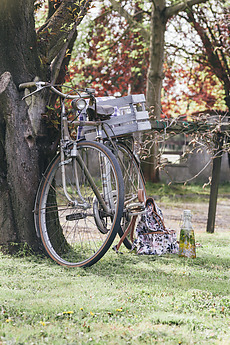 Tony and Pearl were often seen riding their bicycles and walking together through town, but they were private people, who lived quietly and simply. When Tony passed away in 1986, Pearl was surprised to learn that, over the years, together they had grown a substantial estate. But finding “wealth” didn’t change a thing about Pearl. She continued to live as simply as before, even as she contemplated what to do with what she had. Pearl loved Dallas. She and Tony had gotten so much from the community and she wanted to give back. With no children and no close relatives, she wanted to leave most of her estate to the community in ways that would help the people of Dallas. When she found out about the Dallas Community Foundation, she knew that was the way she could leave an enduring legacy. Pearl worked closely with the Foundation to create a Fund in her will that would honor her and Tony and support programs and services they cared about. When she passed away in 2002, she left $628,519.10 to the Foundation, to establish the Anthony and Pearl Proal Fund. Since then, the Proal Fund has awarded thousands of dollars to support a wide variety of services and organizations in Dallas. Tony and Pearl’s story shows how caring people in our own community, through the Dallas Community Foundation, can make a lasting difference. They will be long remembered not only for how they lived, but for their legacy of caring and help. future Richard Arvidson was frustrated by all the negative news stories that seemed to focus on kids getting into trouble. He knew that there were many,many good kids in the community that were doing great things. He wanted to do something to support those kids and reward them in a meaningful way. He gave regularly to the Dallas Community Foundation, specifying that his gifts be given toward scholarships. When he died several years ago, he left $165,957 in his will to the Dallas Community Foundation to establish a scholarship fund. With prudent financial management, this fund will continue to provide scholarships for years into the future. Richard knew there were good kids out there. There still are today and will be tomorrow. Thanks to his generosity and his values, those kids will continue to benefit for the good they do. Karen and I have lived in Dallas for 26 years. We have fallen in love with this community. It has given us so much! As a pastor, God has shown me God is all about giving. God gives love, faith, communities like Dallas, a great country like America and everything we see and don’t see. God is a great giver! When I give to others through my time, my skills or money, life opens up because we, the creation, are doing what the creator intended. That is why I give to the Dallas Community Foundation. As a board member from the Foundation’s inception, I have seen what this money does for groups of people and individuals who are helping others in this community. I get to see and sometimes even interview the amazing high school students who receive scholarships each year. It is so much fun! Karen and I give money each year, but this last year we had the great fun of doing our will. It was fun to sit down with our lawyer and dream about groups that we could help after God has called us home. After our kids, the Dallas Community Foundation was at the top of the list. Because generally only the interest is expended, that money will go on helping people in Dallas until Jesus returns! It just doesn’t get more exciting than that! Please consider a gift to the Dallas Community Foundation. And, if it is time to do or redo your will, please consider giving money that will literally go on forever helping others in this great community. Thinking About Giving Money to a Local Cause? Just Do It! Ken has been a supporter of the Dallas Community Foundation, because he appreciates the good work the Foundation does in the Dallas community. “I give to the DCF because it helps small organizations that need the funds.” He explains that grant writing has become more competitive and challenging. It is difficult for small organizations to get the funds they need. The DCF makes a difference in the community by specifically supporting local organizations meeting a wide range of needs. His advice for anyone who is thinking about giving money or their time to a local cause? “Do it!” he says emphatically. “It might take some effort, but at the end of the day, you can see the benefit of what you’re doing. That’s a gift in itself.” And the bottom line, it makes a person feel good.